Ilhan Omar has broken barriers as first Somali American elected legislator, but will be a lonely voice in Trump’s US. 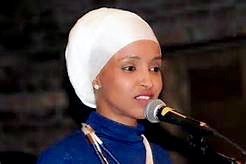 New York, the United States – An election that won Donald Trump the White House and gave Republicans control of Congress was an unlikely moment for the United States to also get its first Somali American legislator in the form of headscarf-wearing Ilhan Omar. Omar, a 34-year-old refugee from Somalia’s bullet-ridden capital, Mogadishu, won a seat in Minnesota’s House of Representatives on November 8, as a self-styled progressive who would stick up for fellow Muslims and work for fairer pay and better schools in Minneapolis. 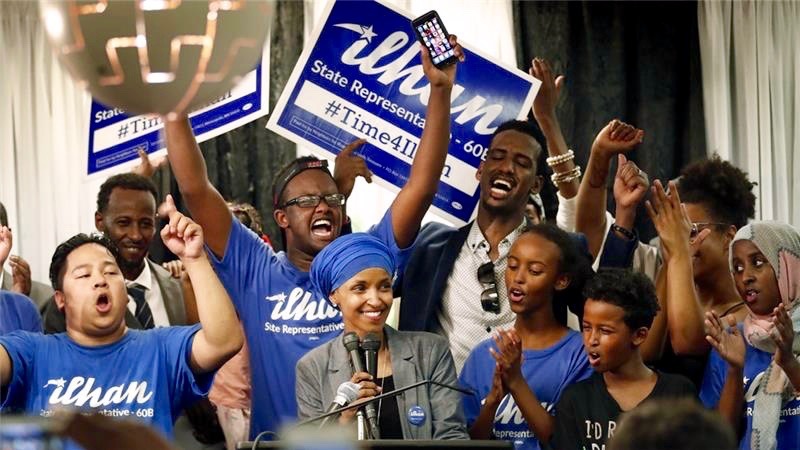 To her supporters, she is a charismatic ambassador for Somalis and Muslims and a silver lining in an election that elevated the Republican candidate, Trump, who campaigned against the threat of terrorism from Muslim refugees, like Omar. 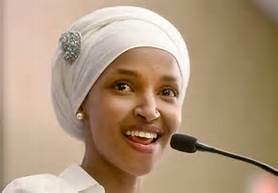 Crowds chanted her name as Omar made her victory speech Tuesday night, wearing pearls and elegant white robes. Critics ask, however, whether beneath the sparkly smile and all-purpose liberal slogans, she is a political lightweight who dodges scrutiny. “If we’ve learned anything these past few days, it’s that America is at a point of divide with two very opposing concepts of nationalism,” Omar’s spokesman Akhilesh Menawat told Al Jazeera. Omar was born in Mogadishu, but her family fled after dictator Siad Barre was toppled in 1991 and Somalia collapsed into cycles of clan-on-clan violence, famine and religious fanaticism, which continue to blight the Horn of Africa nation. After four years in a Kenyan refugee camp, Omar’s family was excited to secure refugee resettlement to the US state of Virginia. They soon joined fellow Somalis in Minneapolis, Minnesota, a northern Rust Belt state on the Great Lakes bordering Canada. “In defiance, she just walked up to the board and answered the problem and sat back down – to prove that she was worth something,” said Menawat. Aged 14, she got her first dose of US-style politics when interpreting for her grandfather at caucuses of the Minnesota Democratic Farmer Labor Party (DFL), a Democratic affiliate. It stuck and soon, she was a student organiser at Edison High School. She earned degrees in business, political science and international studies. She helped female African immigrants. As a city council policy wonk, she favoured rehabilitating rather than jailing offenders, and helped restaurants stay open late for fast-breaking Ramadan suppers. During her campaign to represent district 60B, some 400 volunteers canvassed more than 100,000 voters to push Omar’s pledges of social justice, “closing the opportunity gap” and cleaning up the environment. After defeating a DFL veteran in her August primary, Omar’s campaign was caught in a scandal over alleged bigamy. In a statement, she distinguished between her “legal” and “faith tradition” marriages. She lives with Ahmed Hirsi and their three children. Jaylani Hussein, who heads the state branch of the Council on American-Islamic Relations, or CAIR, a lobby group, said a right-wing backlash was among the “hazards of the job” for any Muslim running for office in the US’s hostile political climate. 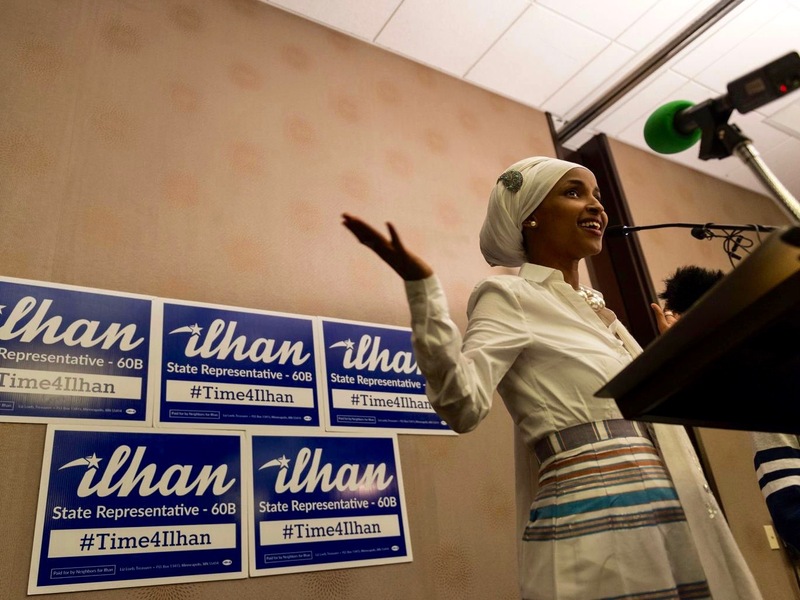 Faiza Mahamud, a reporter for the Minneapolis-based Star Tribune newspaper, said the rumpus raised questions over Omar’s line between “transparency” and “privacy”. Other questions linger over her political spat with Somali American city councillor, Abdi Warsame. “She talks about being a bridge-builder between communities, but a lot of people have expressed concern about how accessible she’s going to be to the larger community. This will be a challenge for her and we’ll see how she manages it,” Mahamud told Al Jazeera. Omar became a shoo-in after her Republican rival, Abdimalik Askar, suspended his campaign in August. At her victory party, she came to the podium as the song The World’s Greatest by R Kelly entertained an energised crowd and Omar spoke of “shifting narratives, restoring hope and re-establishing access in our democracy”. The national mood was very different. Omar broke the glass ceiling for Somali American politicians, but the Democratic candidate for the Oval Office, Hillary Clinton, had failed to become America’s first woman president. Trump won by driving his juggernaut of voter anger through Wisconsin, Michigan, Pennsylvania and other states along a supposedly impenetrable “Blue Wall” that Democrats had not lost in a presidential ballot since 1992. Before the biggest electoral upset in recent decades, critics had said Trump’s bid to swing Minnesota was the desperate act of a losing candidate. The property tycoon turned rural Minnesota red, but Democrats clung on to the state with a slim 44,000-vote margin. In the closing days of campaigning, Trump filled a hangar at the Minneapolis-St Paul airport and said the state had “suffered enough” for accommodating thousands of Somali refugees who, he said, had a penchant for supporting ISIL and “spreading their extremist views”. It was more than hyperbole. Three Somali Americans – two US citizens and one a lawful resident – pleaded guilty in June to trying to join ISIL. According to officials, some 30 young men from Minnesota have left the US to join ISIL, or al-Shabab in Somalia. US Census data counts about 86,000 Somali Americans in the US, about 25,000 of them live in Minnesota. They are mostly in the Twin Cities, Minneapolis and St Paul, which are among the most racially segregated areas in the US. While Trump has argued for halting Muslim immigration and blocking refugees from conflict areas like Syria and Somalia, Omar warns that angry rhetoric is exactly what drives young Somali Americans to fanaticism. According to Menawat, fear-mongering about “Islamic terrorism and Sharia law” is the “reason these young, mostly men, are drawn to that message because they feel like they’re rejected by the community they live in”. Omar’s job these next two years involves “educating people to see that Muslim and Somali refugees are no different than all the ancestors of everyone else in this nation who were, at one point, immigrants,” Menawat added. This will be a struggle. With a Trump White House and Republicans running Congress in Washington and even Minnesota’s House of Representatives, Omar will need to be as bold as she was during her maths class to get noticed.